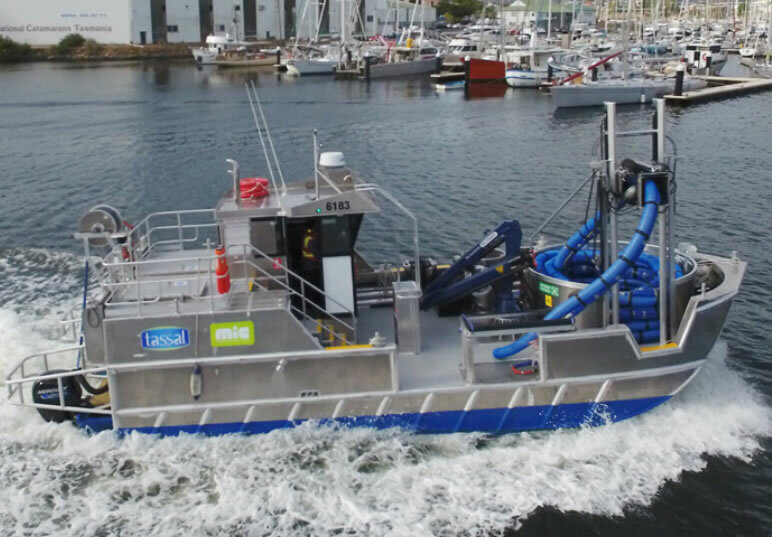 Our award for Best Specialised Aquaculture Service Vessel goes to Flow, a 13.6-metre aluminium cleaning craft designed by Oceantech of South Australia. 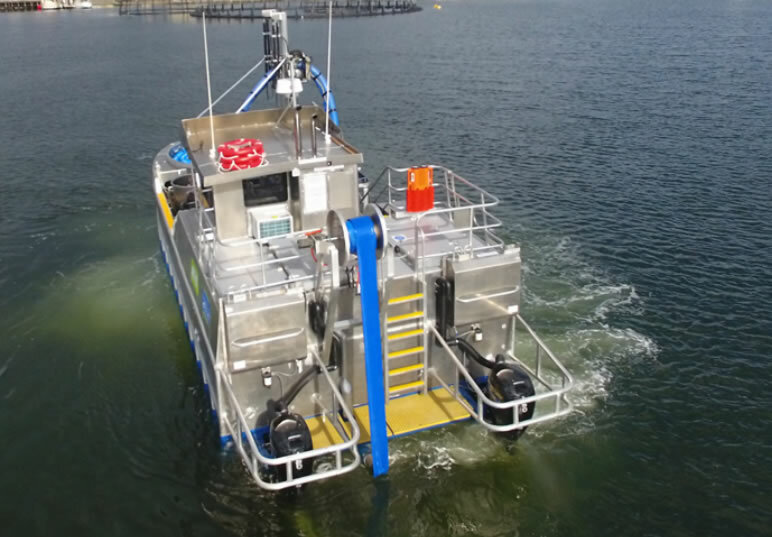 Designed to provide cleaning and inspection services to the offshore aquaculture industry, Flow will use her specialised vacuum-based cleaning equipment to remove sediment and fouling from fish farm nets and other underwater structures. We love this idea of being able to clean the nets in situ rather than waiting until after a harvest and bringing the nets ashore, saving time and money as well as removing a rather complicated task from the work schedule and we see a bright future for the vessel type. In addition to cleaning the nets and structures whilst they remain in the water, the equipment on Flow is able to filter the waste from the cleaning fluid and return cleaned water back to the ocean with very low levels of dissolved biomass which means that the cleaning operation can occur on nets close to fish being farmed without having to worry about cross-contamination.